Aggie Transport Success – THANK YOU ARG Volunteers! 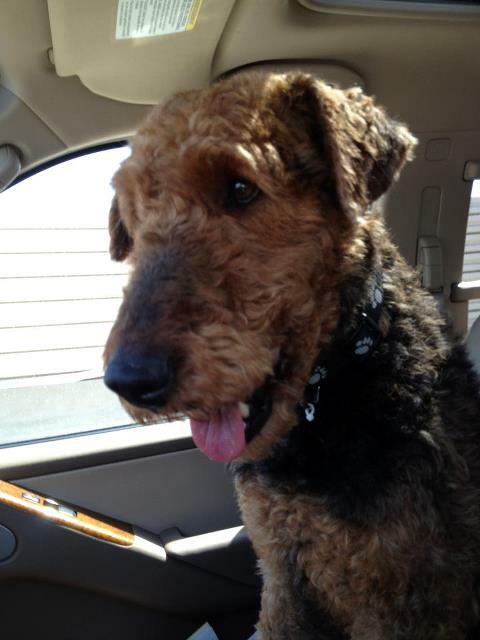 Aggie was an Airedale in Alabama that needed ARG when her owners were not well enough to care for her. Luckily, the sons of the owners reached out to ARG and a volunteer was able to help us get Aggie into safe hands. Aggie had heartworm when she came into rescue and ARG treated her. Aggie had to remain quiet for about 4 weeks due to the heartworm treatment and her recovery time. About one month after her treatment, Aggie traveled from Birmingham, AL to Charlotte, NC. She traveled across 4 states – AL, GA, SC & NC. Aggie started to steal hearts on the first leg of the trip and the transport coordinator (Christina) received a phone call that the first driver volunteer wanted to adopt her! He thought that she was so sweet and affectionate. The adoption did not happen on the spot and Aggie continued her travels with other volunteers who found Aggie just as charming. Thanks to ARG volunteers, we are able to transport our needy ‘dales across the states that we serve (AL, NC, SC, GA & TN). ARG volunteers are the very best! Prev Antlers to chew on – Hefner is in heaven!